Thank You Sears For Your Generous Donation! 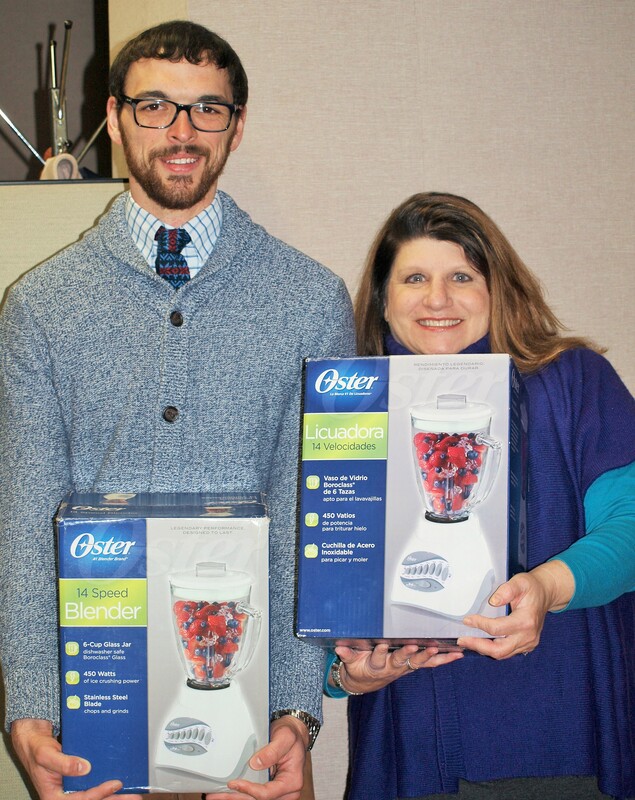 Christopher Jackson, Communications Coordinator, and Char Brooks, Member of the Economic Security Team, pose with blenders donated for seniors by Sears. Working with seniors through MiCAFE, Michigan’s Coordinated Access to Food for the Elderly, we see many seniors over 60 who have trouble making ends meet and putting healthy food on their table. Every day, seniors struggle to not only purchase enough food to eat, but to actually eat a balanced diet. Even more problematic is that some seniors have problems chewing food. Over and over again we see seniors that either cannot afford dentures or, if s/he does have dentures, the dentures don’t fit properly making it difficult to eat fruits and vegetables. Char Brooks, a member of our Economic Security Team, realized that a blender could provide an economical solution to allow these seniors to get the vital nutrients they need. By utilizing a blender, the senior can easily puree their fruits and vegetables or make smoothies, while also allowing s/he to enjoy healthy food in an economical way. Several staff members, including our Communications Coordinator, Christopher Jackson, embraced the idea of providing blenders to low income seniors who can use them most. One of the first companies to respond to our request for blenders was Sears located in the Frandor shopping center in Lansing. Sears understood how blenders can provide an important solution to those seniors who desperately need good nutrition and do not have the resources to provide for themselves. For as low as $0.22 per serving, anyone can enjoy a delicious bean dip. It’s simple and quick to make a Tomato Basil Soup for under $0.50 per serving, which is perfect for Michigan’s cold winter weather. Even Banana Ice Cream (without additives) can be made by using a blender for a mere $0.56 per serving. Through the power of a blender, the possibilities for affordable, healthy, homemade food are endless! A special thank you goes to Sears for donating blenders to Elder Law of Michigan. With these blenders, we can help make all these delicious combinations (and many, many more) possible for our seniors in need. Together, we are making a substantial difference in the daily lives of these seniors allowing them to enjoy their nutritious food and stretch their food dollars. If you’re interested in donating blenders to help our seniors in need, please contact us at info@elderlawofmi.org.